We all know that books can enrich our lives, but do they have health benefits as well? And if so, does reading books have greater health advantages than reading newspapers or magazines? Researchers at Yale University School of Public Health designed a study to try to answer those questions. The researchers studied the records of 5,635 participants in the Health and Retirement Study, an ongoing investigation of people who were 50 or older and had provided information on their reading habits when the study began. They determined that people who read books regularly had a 20% lower risk of dying over the next 12 years compared with people who weren't readers or who read periodicals. This difference remained regardless of race, education, state of health, wealth, marital status, and depression. 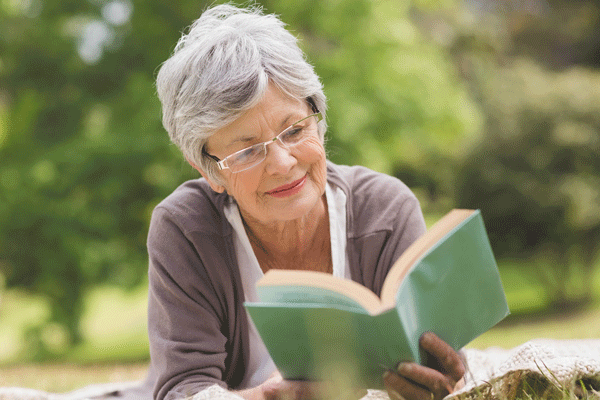 These findings, which were published in the September 2016 issue of Social Science & Medicine, suggest that the benefits of reading books may include a longer life in which to read them.